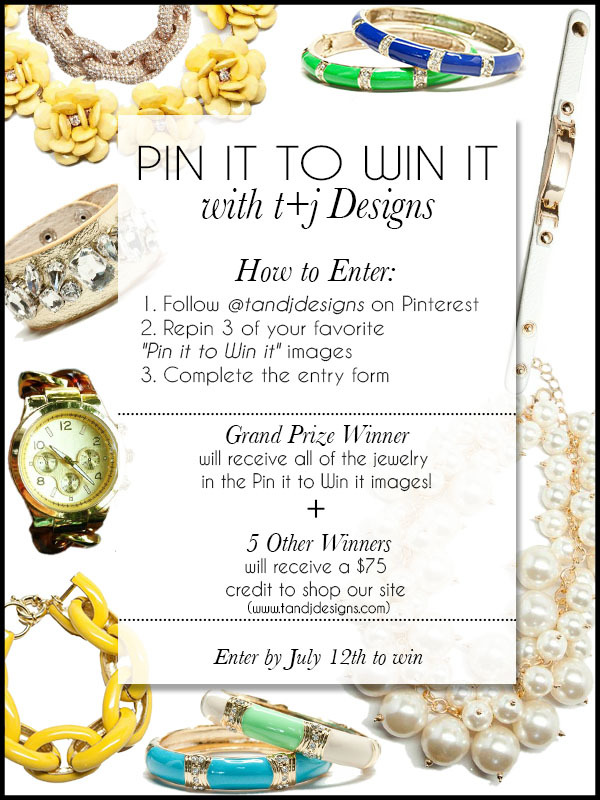 t+j Designs Blog: Enter the Pin It to Win It Contest: Win $400 worth of free jewels! Enter the Pin It to Win It Contest: Win $400 worth of free jewels! Interested to win $400 worth of free jewelry? It takes 3 super simple steps below to enter into our Pin It to Win It Contest! It's almost too easy to enter & there are up to 6 winners!! All of these steps can be completed quickly by just entering here! Good luck & Happy Pinning!